She carried me for 9 months, hers was the first face I saw when I came in to the world and the first hand I held to guide me through life and she’s provided my brother and I with the most solid relationship and the greatest love story on earth. 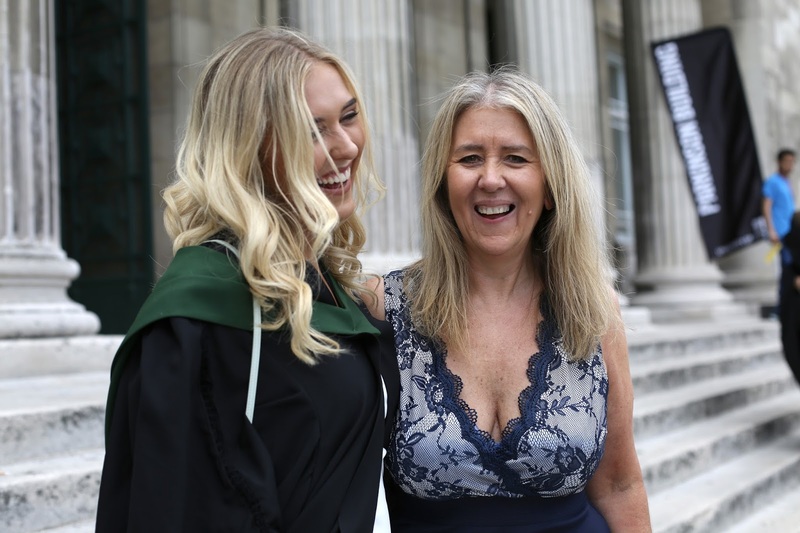 I'm sure most of you are aware that my Mum is literally everything to me, we have the closest bond and I am so grateful to have such a powerful, strong, incredible Mumma. If I could choose family, I'd choose my Mum, brother and grandparents a million times over. I got really lucky with them. It’s Mother’s Day on Sunday 31st March and while we try and show Mumma Shel lots of love every day of the year, just like most Mums she is very worthy of this special day being dedicated to her each year so that we can go the extra mile. Of course, she’s a typical selfless Mama and doesn’t see it that way. Every year she says the same thing ‘don’t think you have to spend lots of money on me for Mother’s Day. I’ve got all I need with you two'... Well hard luck Mama because we’re gonna ignore you and spoil you anyway haha. Open up this blog post for lots of Mother's Day gift ideas and things you can do with your Mum or loved ones/Mother figure this Mother's Day. Whilst Mother's Day is called 'Mother's Day' traditionally, it goes without saying that you can do these things with anyone you love, I always spoil my Nanna on Mother's Day. I get so much out of spoiling people on special days of the year, it warms my heart and does my soul good so I love to go all out. Whether it's Easter, Mother's Day or someones birthday, I really love sprinkling a little bit of love in whatever way I can. Doing something special for someone doesn’t always have to mean spending money, it’s about being present and spending time with that person. When I was little I used to use Mother’s Day evening to run my Mum a big bubble bath with candles and flowers around it and give her the opportunity to relax in a made at home sanctuary spa. I’d make her a cup of coffee and make sure she was locked away for an hour with some nice chocolates and a book (I always buy her the new Deliciously Ella books when they come out). She loved it. Or it could be something as simple but special as putting your phones away, going on a walk together and then making your Mum breakfast. It really is the little things in life. This year we will be having family time in London together with my Nanna, indulging in a nice lunch and a walk (pray for nice weather please) and I know that will make my Mum so happy. Over the years we've realised it's about being with each other and spending those moments together. In choosing a gift for my Mum, there are endless ones that she will like and I thought I should share a few of my favourites with you. I haven’t chosen yet and it may be a mixture but here are my ideas if you're stuck for things to do for Mother's Day or you need some gift inspiration for Mother's Day. Experience - She’s a busy lady so something relaxing and to take the weight off her feet is a good one. A spa afternoon (I always book her into Rudding Park in Harrogate) or an afternoon tea at her favourite place, Betty's always go down well. You could book her an overnight stay if you're feeling spenny, I'm personally desperate to take my Mum to Cliveden House after the best stay there ever. I know my Mum adores the Cotswolds too, so I'd love to take her back to The Painswick hotel for some rest and relaxation. You could also book each other in for a blow dry followed by nails, a gorgeous little pamper day. Obviously, you don't have to spend all the money in the world, you could bring the spa home and run your Mum a bubble bath with chocolate strawberries and candles (I've linked some of my favourite at home spa treats below) or take her on a local adventure like a bike ride or a countryside walk. I just know my Mum really appreciates relaxation so a stay over spa trip would be a perfect gift for her. She rarely takes time for herself. She loves food (now you know where I get it from) and there are now endless restaurants doing vouchers and special menus so treating your mum to something like that can be a great idea. I did this at Christmas once and it went down really well. Last year I took my family to Zizzi and they spoilt the ladies with champagne on arrival, I know most places do Mother's Day set menus, ranging from Zizzi's to Sushi Samba (two menus I've looked at recently for the special occasion). I had a press dinner the other evening at Sushi Samba and have to say, it was a spectacular. I'll definitely be taking Mama Shel back there when she's next in London. I also saw Zizzi are doing a WHITE CHOCOLATE PIZZA for dessert during Spring, sign me up for Mother's Day haha. As a family, we love celebrating good news with a special meal and are always on the lookout for special restaurants. Chocolate will never be unappreciated by my Mum so I always get her chocolates for Mother's Day or I quite like to make her a hamper with her favourite food, teas and coffees inside. I usually make up my hampers at Selfridges, Marks and Spencer, Daylesford or Harvey Nichols and fill it with all her favourite things. Nothing beats a self care/love hamper! I always find Marks and Spencer have the best little cakes and treats for Mother's Day. See below for some food gift inspo. Perfume - Who doesn't like a special scent? Over the last few years, I've got my Mum hooked on Armani Si, YSL Mon Paris and Elizabeth Arden White Tea. There are some amazing new fragrances for 2019 and the original Flowerbomb has always been my number 1 scent and I didn’t think it could get any better but me and my Mum smelt their new launch, Flowerbomb Midnight last week and we were both blown away. Maybe that could be a contender this year! I discovered Miller Harris fragrances last year too and they do such special luxurious perfumes. If your Mum is massively into fragrances, definitely try book in for a free fragrance consultation and hand massage at Jo Malone, it's something I did before and it was such a treat. I know you can also go to L'Occitane Regent Street for hand massages and macaroons so this could also be a cute idea! See more of my Mother's Day fragrance recommendations below. Beauty - Fresh Soy Face cleanser is a go to product for my Mum and is a must for Mother’s Day because she genuinely uses it and gets through it quickly. I love keeping her topped up with her favourites. She really can’t get enough of it because it suits her busy schedule. I was recently lucky enough to be able to treat my mum to a facial with Elemis and she has been hooked on their skin products ever since (highly recommend heading to the Elemis townhouse in London for a facial and massage, you wont regret it, hire the penthouse out for the two of you and get ready for an epic treat). One pleasure I have had from doing the job I do is being able to introduce my Mum to products she would have never tried previously - I get to understand the skin products in detail and how many great things go in to creating facial care products and skin lotions. She absolutely loves the Elemis Pro-Collagen range and is also a huge fan of Elizabeth Arden’s 8 hour cream and Advanced Ceramics Capsules Daily Youth Restoring Serum (in her mission to stay young forever!) Caudalie is another brand that she loves and uses regularly. She had problematic skin when she was younger and thanks to me being able to guide her and provide information about these products she now has a great skin care routine and actually realises that time pampering your skin is well worth it. For my Nanna, we always spoil her with Clinique for Mother's Day, who doesn't love a Clinique gift set? She also adores L'Occitane (hello Almond range, you are DIVINE) and Molton Brown (I buy my Mum the hand wash and lotion multiple times per year as she is hooked) and they both always have amazing gift sets for Mother's Day. It goes without saying that Jo Malone are always a winner for gifts too and not forgetting Diptyque for the most spectacular and special candles (my Mum has had her eye on their candle carousel since Christmas). See below for more beauty inspiration for Mother's Day. I know my Mum is massively into haircare and she loves nothing more than a blow dry (wonder where I get that from) so often for Mother's Day I'll call ahead and book her in for a blow dry at Sassoon! I did notice Dyson hair have an amazing Mother's Day gift set too if you feel like getting spenny (or have a blow dry mad Mama like mine). I have a Dyson hair dryer and it's one of the best products to come into my life. I LOVE IT! My Mum also always runs out of haircare so a good idea for her is a haircare hamper rammed full of her faves from Redken, Kerastase and Aveda! Wellbeing - Like many Mums mine is a huge fan of Zumba and she also loves Pilates and walking. Sweaty Betty and Fabletics sports wear are the two she swears by and she is always in need of new sports bras and pants so this could be a great idea for this year. I love buying her things she genuinely gets use out of. On the theme of well-being, I always think buying something like a pack of yoga classes, a new yoga matt, a meditation experience or even some new cookbooks are all lovely, useful presents. Gardening - Finally, Spring is upon us and my Mum loves gardening. My brother bought her a small greenhouse last year and she spent most of her summer nurturing tomatoes, chillis, cucumbers and peppers so I thought some personalised garden gloves would go down well this year! Of course, if all else fails, a bunch of daffodils, a bouquet of her favourite flowers or a lovely plant. I bought her some orange trees once and she loves them! She loves flowers of any description and they always put a smile on her face so somewhere along the line flowers will be involved. If you can't be with your Mum on Mother's Day, sending flowers is such a lovely way to brighten her day. 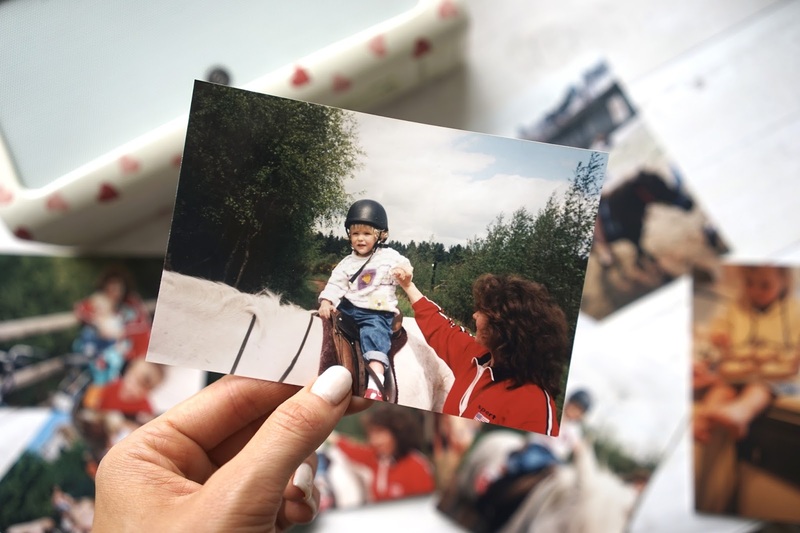 Personalised - I love anything personalised, whether it's a personalised weekly planner, a notepad, some coasters or a photobook with your memories. I think personalised gifts are such a lovely way to spoil someone but in such a thoughtful way. Even if it's just a little Moonpig card, it's so lovely seeing photos come to life in a world where most things stay on social media and never get printed. Make a scrap book with some of your best memories in! I love keepsake gifts and little trinkets or personalised jewellery also make such special, forever gifts. I also usually buy my Mum something from Aspinal Of London every year too as they do the cutest little leather heart shaped gifts which always put a smile on her face and they last a lifetime too. See some of my favourite personalised and keepsake gifts below. What ever you treat your loved one to this Mother’s Day you can be sure she will love it because it’s from you, and that’s what counts. We all know that while our Mums put themselves second, they will always be first in our eyes so make some time to be with her and make her know how special she is. Yes I love buying gifts and there's nothing wrong with that but don't forget, spending time with your loved ones will beat any gift! Mighty is the force of motherhood! (George Eliot).